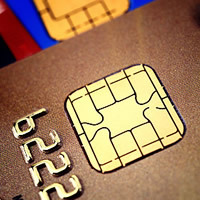 (12/12/2012) Credit and credit cards are an integral part of our economic system today. But there is a lot of misinformation and misunderstandings about credit. In this continuing series, we examine key concepts, tips and best practices when it comes to credit cards. 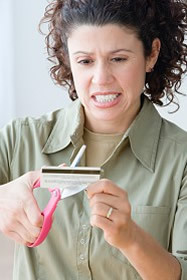 Having a credit card affords you enhanced buying power, but it can also get you in trouble with debt. Making smart decisions with your card is the key to achieving the former without the latter. That means avoiding some key mistakes.  Buying more. Many credit card holders can fall prey to the idea of “free money.” Having a convenient card available when cash isn’t may make it feel like you can buy more. But you always have to pay it back, and with extreme interest. It helps, then, to keep track of what you’re buying, whether it’s through keeping and noting receipts, writing down purchases in a notebook, or other method to prevent ugly surprises.  Paying late. Whether it’s intentional or not, late payments can raise your interest rates and cause late fees, increasing the amount you need to pay over time. It adds up quickly, and repeated lateness can cause dings to your credit report, which impacts your overall buying power. One of the best ways to avoid accidentally paying late is using the power of online payment. You can set up automatic payments through an online account, and avoid the extra time it takes to receive a mailed payment.  Paying only the minimum. 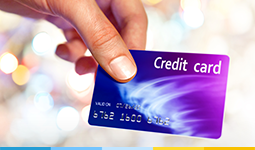 Credit card companies only require a small percentage of your total bill each month, which can seem like a good deal. However, each month a balance remains on the card, it adds to the total interest and fees on the account. Which increases the amount of money you eventually need to pay. Instead, pay as much as you can each month to eliminate this accumulation of debt.  Spiking your balance. If you are maxing out your cards, it reflects poorly on your spending habits and impacts your credit score. Plus, it means that much more you have to pay back over time. Instead, try to keep your balance within 30 percent of your overall limit.  Taking the first offer. Just because you qualify for a credit card offer doesn’t mean it’s the best one for you. Instead use the power of online shopping to compare cards and find the one with the best rates, perks and other things important to you.  Forgetting about rewards. 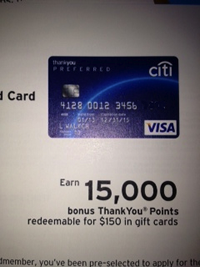 Accumulating points on rewards cards and then not doing anything with them amounts to wasted money. Points may lose value over time, or fees may take effect. Plus, many cards offer standard perks that some owners forget about, like rental car insurance, purchase protection, extended warranties, and travel insurance. But do remember this — don’t sign up for a card with rewards if you don’t plan to use them, as they may charge higher interest rates for the benefits. What are Your Rights as a Credit Card Holder?